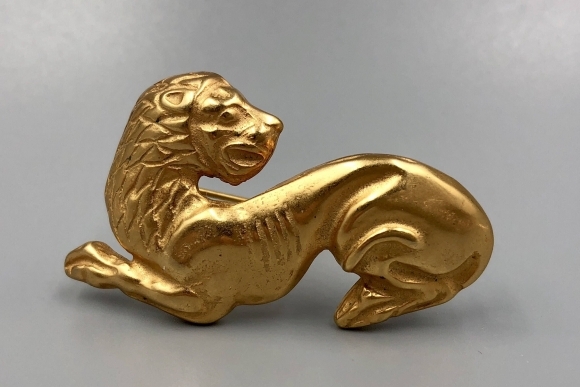 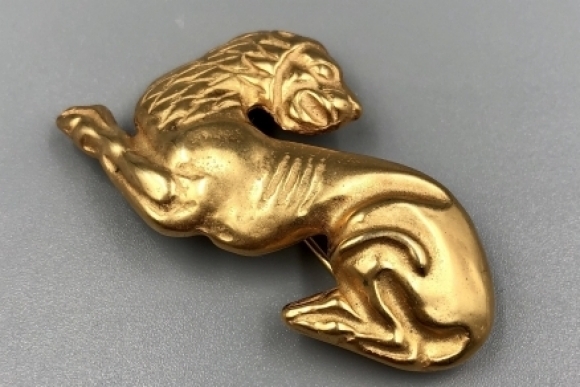 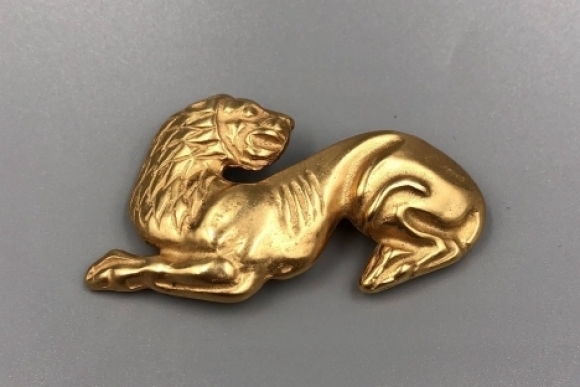 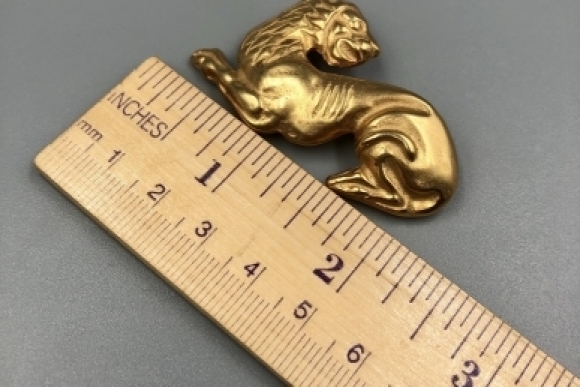 This Metropolitan Museum of Art gold lion brooch, is inspired by the Scythian lion (4th c. BC) from the Hermitage Museums traveling exhibition, Scythian Gold Treasures of 1975. 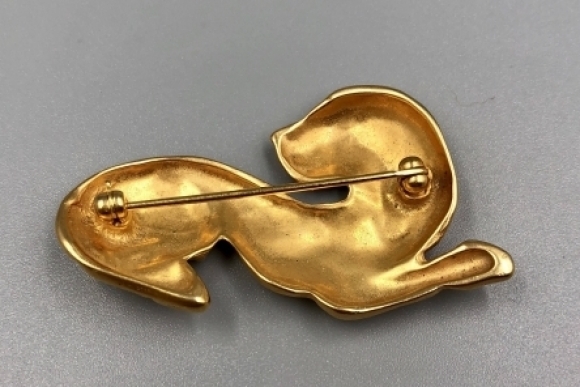 Sculpted by Augustin Medina, the brooch is 24K plated brass, and has beautiful sculpted details in a rich matte satin finish. 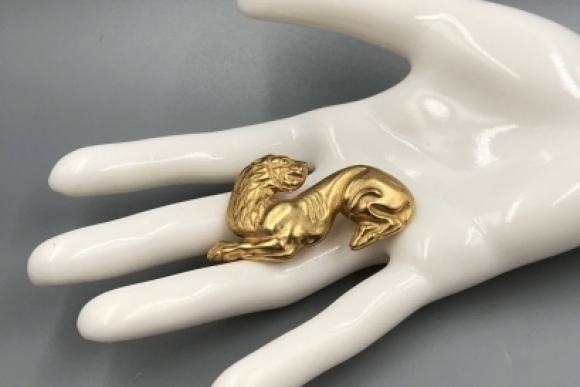 This is a rare, hard to find piece of museum jewelry. 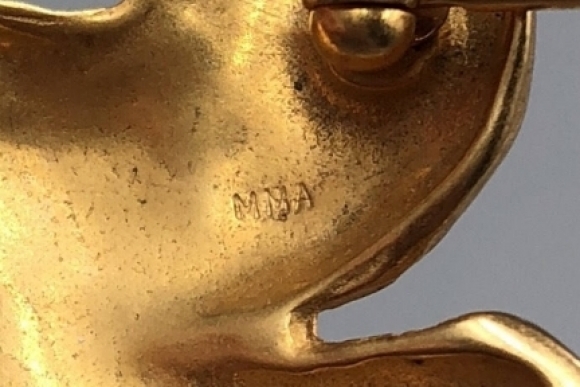 Stamped MMA. The lion representing power, strength, and courage was a powerful totem often decorating weapons and shields of the nomadic chieftains and warriors of the Scythian Empire.